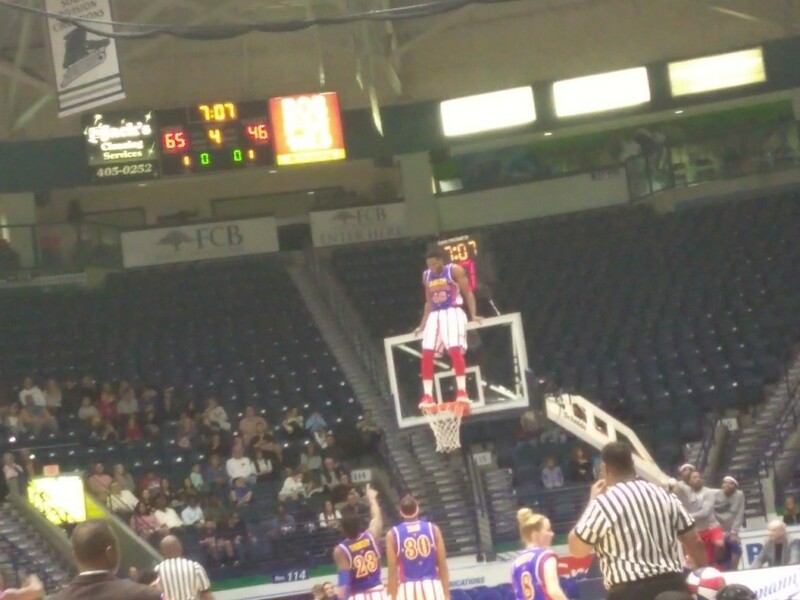 Harlem Globetrotters Fan Powered World Tour Review by Vicki Floyd | Save on Harlem Globetrotter's Tickets! 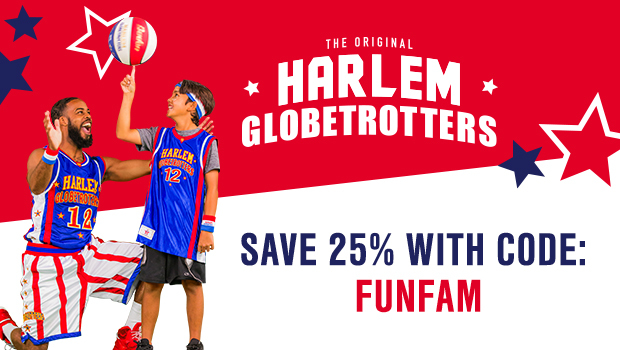 With a star-studded roster featuring Big Easy Lofton, Ant Atkinson, Hi-Lite Bruton, Thunder Law, Bull Bullard and Cheese Chisholm – plus female stars TNT Lister, Ace Jackson and Hoops Green – the Harlem Globetrotters’ show is unrivaled in the world of family entertainment. Their 2018 World Tour will showcase incredible ball handling wizardry, rim-rattling dunks, trick shots, hilarious comedy and unequaled fan interaction. After the game, Globetrotter stars will sign autographs and take photos with fans. What a fun time we had at the Harlem Globetrotters game! There was fun music, an exciting basketball game, and of course, lots of silly shenanigans! The fun began 30 minutes before the game with a pregame performance by the Naples Dance Company. 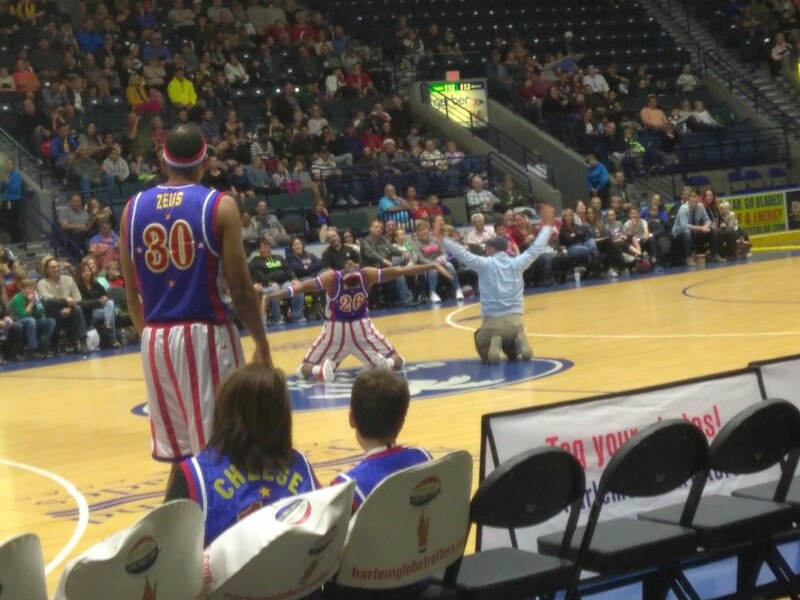 Then, the Globetrotters’ silly mascot came out for some fun and games with the fans! He played musical chairs with some kids, did a dance off with 3 fans, and set up an oversized inflatable basketball game with two fans. The winners of the games received a Globetrotters wrist band. Then it was time for the game! The Trotters were playing the “new and improved” Washington Generals. It was s very exciting game! For the first quarter, the Generals crushed the Trotters. They were a great team and made many 3 and 4 point shots. But of course, the Globetrotters were not afraid. They stopped playing many times for lots of fun and goofiness, with the game clock still going! 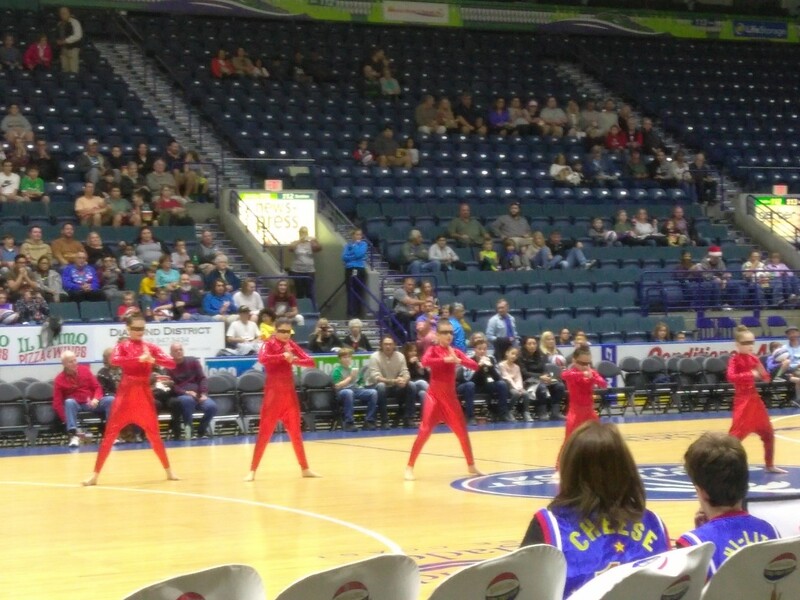 Halftime was a lot of fun with a performance from a local dance team, and more interactive fun with the fans. In the end, after a bit of tweaking of the score from both teams, the Globetrotters won with a score in the 90s! The boys were entranced the whole time and a fun time was had by all. A Globetrotters game is great entertainment by the whole family, even if you don’t know anything at all about basketball! I’m looking forward to the next time we get to see them!